Introduced to Britain as long ago as 1699 by a monk - Brother Cupani - who even then must have known a thing or two about flowers as even today, this lovely item is still extremely popular. Why? Well mostly because this lovely sweet pea, with its charming, small, crimson/purple bicoloured flowers is so highly fragrant. Plants bear 2-3 flowers per stem. Scent Key 2 - (medium scent). Height 1.8m (6'). Easy to grow. HHA/HA - Half hardy annual/Hardy annual. Ideal climber. Scented. Attractive to bees. Suitable for cutting. Prefers full sun. Some sweet peas have hard black seeds and we advise soaking them in water for eight hours before sowing. 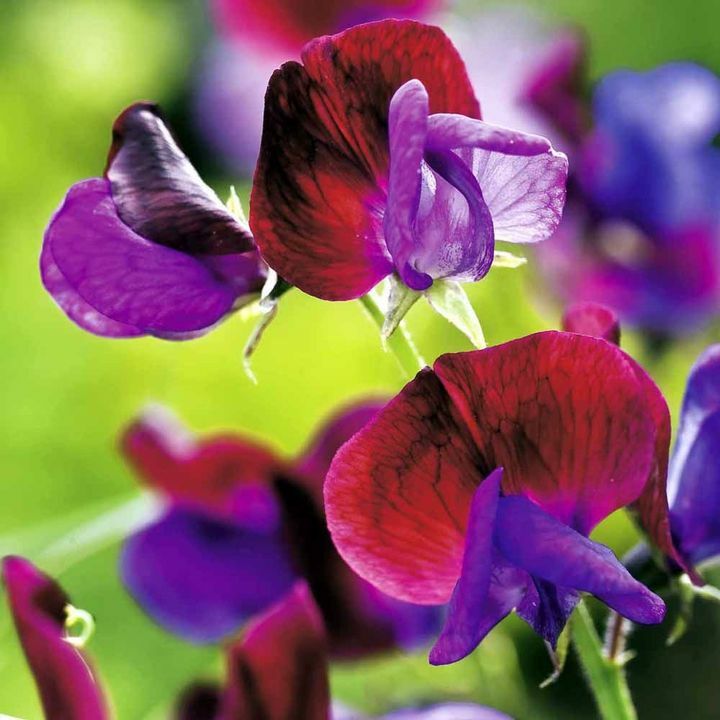 Pick sweet peas continuously so that you ensure a summer-long display.